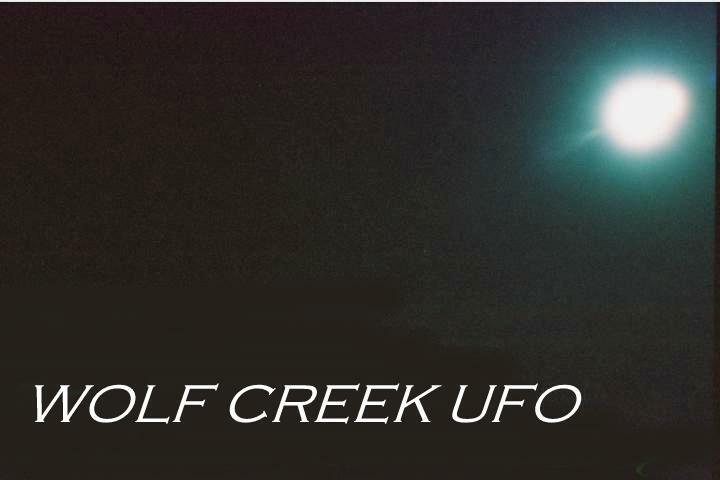 Photo, Taken by Dave Rosenfeld 1999 Dec.
Another Wolf Creek UFO seen that year. A brief sighting, " ... but I was lucky enough to take this photo as the object flew by, traveling east about 3am with an altitude of around 1000 to 1500 ft, this bright egg shaped object was seen for about one minute." Notice the stream or jet of light coming from the rear of the object.